Have you ever had a rewarding idea? 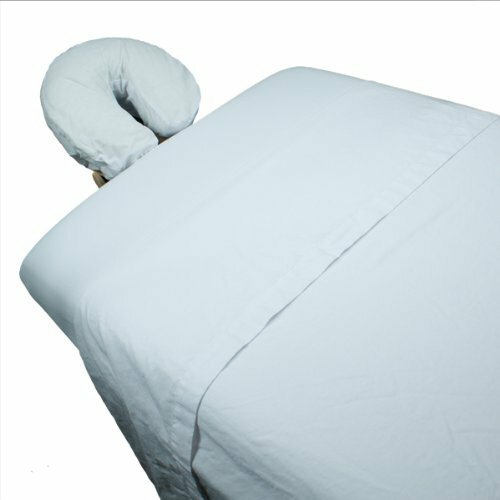 I recently wanted to expand my business and I must say that the choices for massage table sheets can be very limited when you are looking for the best value for your money. I spent a good amount of time doing research and got several fantastic choices. The experience wasn’t exactly satisfying. You may not have the time to do the same thing as well. So here’s an article revealing what I’ve found. I did the hard part so you don’t have to. Hopefully, you can pick something out by the time you’re done reading. 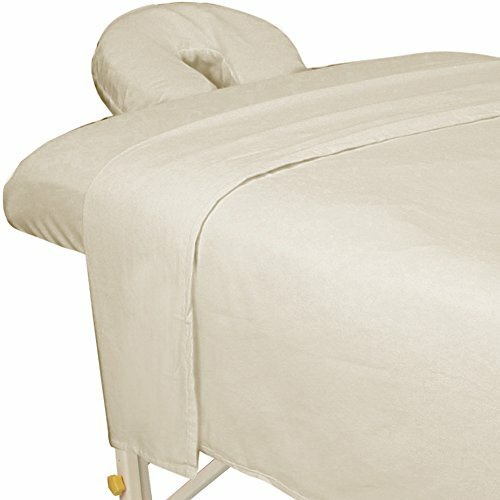 These are the best sets of massage table sheets based on my findings. First, let me give you an idea of how I checked them out. I took into account the following criteria: elastic quality, softness of the fabric and resistance to washing. I think these are the most important aspects. Price is certainly a crucial factor, but as they say, quality comes at a price. Made with double-brushed polyester, this fabric is “as soft as silk,” as some of my clients say. I love the option in Dark Chocolate. Having said that, I currently use white for internal use. I must also say that I was surprised by the weight. I did not expect them to be so lightweight. Something I almost do not do with my massage table sheets is put them in the dryer. It was a little stressful the first time I did it. Nonetheless, I was confident that the Therapist’s Choice Premium Deluxe sheets would not be a problem. If I have to say something negative about this product, it’s the presentation. I wish the packaging was more attractive. I almost felt that no effort was made to make the product “pop”. Very few brands can probably compete in the same league as For Pro. The corners are 6-inch deep which gives the sheets strength. The material is 100% cotton. The softness is truly one of a kind. Customers love that feeling of cleanliness and freshness in the sheets. Unfortunately, depending on the brand of oil you used, you may encounter a serious staining problem which can be tough to get rid of. I do not exactly know why this happens, but be very careful with certain types of oil. The best thing you can do is to test pouring on the corners and see if the blemishes come off easily. 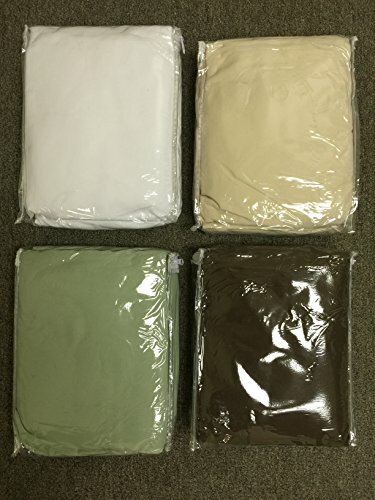 I washed the sheets three times in a period of 7 days to test their durability. The good news is that their softness and dimensions were still perfect. Very good quality indeed! Sometimes, you have to try something new without knowing if you will like it or not. I took the risk with the Ivory and have had good results so far. It is not cotton but rather made of 100% brushed polyester microfibers that are stain resistant and hypo allergenic. Even though it’s not cotton, I could not believe how good the sheets were. 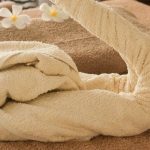 The sheets can also be washed easily without worrying about shrinkage. When I was comparing prices against other products, I had that feeling of just staying in my comfort zone and keep buying what I knew already worked well for me. The problem is that if we always stay in our comfort zone we end up missing the best things that are just around the corner. It’s a good thing that the Ivory isn’t priced really high. If cotton and polyester are the best bedding materials Why not combine them? That’s what the Body Linen tries to answer. I really thought they were heavier than the others, but boy was I wrong. It was actually lighter than expected. Cotton is also obviously soft, but polyester is what gives character to the tables. Probably the only downside to these sheets is that they’re a bit transparent which could give the impression that they could tear off easily. 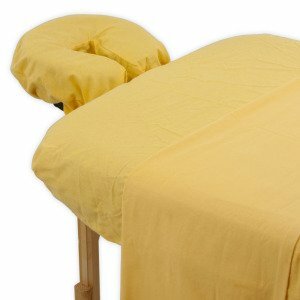 If you want an affordable and unique set with a vibrant and cheerful color that appears to return the smile to your customers, then this massage table sheet is for you. This sheet is also fit for personal use. The sheets are very easy to clean. The stains and oils can be removed effortlessly. The downside of this sheet is that it loses color after about 30 washes. Because of that, I do not recommend it for professional use. You might end up spending more if you do. I hope you were able to make a choice based on the products I reviewed. 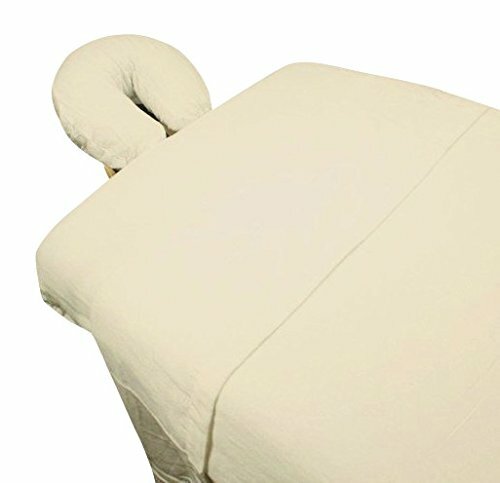 If non of these sheets impressed you, you can always count on disposable massage table sheets to fill you in while looking for that perfect sheet you desire.